Twitter has been defined with its 140 Character limit since a decade. However, this micro blogging site has finally heard the cry of its users and decided to budge with its character limit. Finally, it will provide you with a bigger canvas to let your creative juices flowing. In past few months, the site added polls for community, GIFs to react smartly and quickly, and periscope broadcasts as well. In the month of May, Twitter had announced several changes to be anticipated in the coming months. It has at last officially announced these changes. No need to spare your characters for the @names replies. It will no longer be consider in your 140-character limit. So, no need to penny-pinch for words! Express yourself easily and reach your followers and group. Previously, when you attached a media, such as GIFs, photos, polls or quote tweets, it consumed several characters from your character limit. It’s time to ease this frustration. Twitter will no longer count media characters in your tweet. So, cheer up! 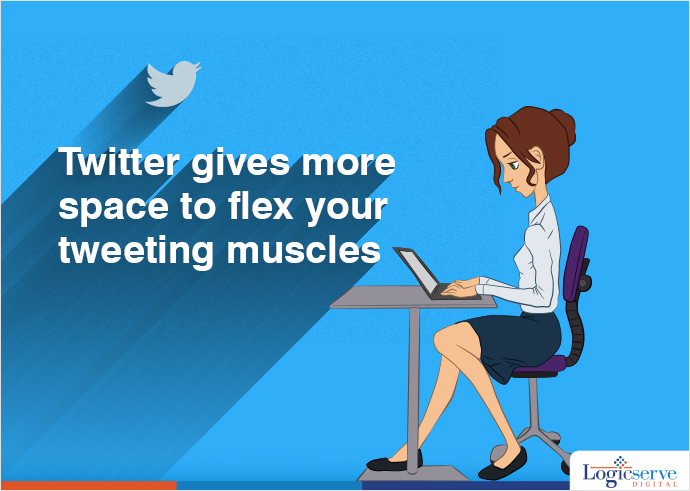 If you think a really good tweet of yours went unnoticed, then Twitter has a good news for you! You can now retweet your own tweets or quote tweet yourself! No need to use ‘. @’ in your tweets to reach all your followers. A tweet that begins with username will be seen broadly. If you want your followers to notice your reply, simply retweet your tweet that you intend to be seen broadly. 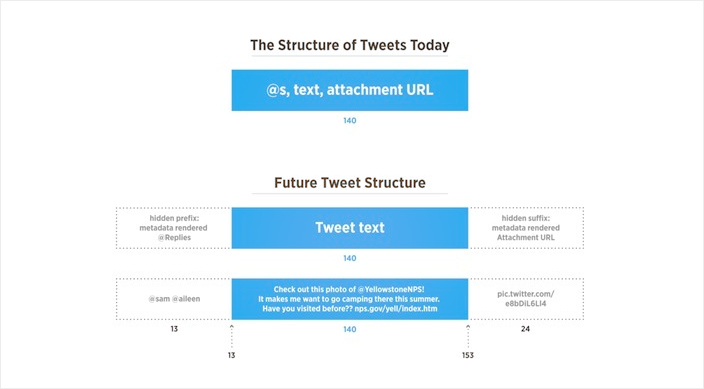 As shown in the diagram, the URLs, media attachments and @mentions, will appear outside the tweet. That leaves an entire 140-character limit to play with when composing your tweet. Have an opinion on this? Feel free to share. How to Compete with Large Marketers When It Comes to Programmatic Advertising? CUSTOMER MATCH: BRINGING BRANDS CLOSER TO THEIR CUSTOMERS!